The roll-out of the third Freeview HD multiplex is to be completed by the 2nd July, according to new data released by Freeview platform manager Digital UK. The upgrade to the Freeview network, provided by Arqiva, opens up additional capacity for broadcasters. The work, which completes on 2nd July concludes work on rolling out infrastructure to provide an expanded Freeview HD service across many parts of the UK. COM8 currently carries two QVC HD channels, but has ample space for further HD and even standard definition channels for viewers with Freeview HD and YouView devices. Alongside sister multiplex COM7, which carries BBC Four HD, the two multiplexes reach 70% of households. Multiplex BBC-B/PSB3 carries the main HD channels including BBC One HD and is carried on all transmitters giving 98.5% household coverage. Recently, the new multiplex was added to the Caradon Hill transmitter serving parts of East Cornwall and West Devon. Between now and the 2nd July, the multiplex will become more widely available across parts of Lanarkshire, North East Wales, Sheffield and Tyneside. Further details can be found on the COM7/COM8 information page. Viewers who have BBC Four HD on Freeview HD or YouView channel 106 can retune to get the new multiplex, providing it has been rolled-out in your area. 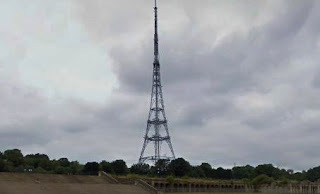 COM8 will only be available from the same transmitter sites carrying BBC Four HD (which is on multiplex COM7), so if you can't get BBC Four HD it's unlikely that you'll be able to receive the new services. Be aware the coverage patterns between COM7 and 8 vary slightly, in some locations COM8 is broadcasting at a lower power than COM7, see the information page. Initially QVC+1 HD and QVC Beauty HD (channels 111/112) are available. Even if these channels aren't of interest, by adding them, your TV or box will be 'aware' of the new multiplex and automatically add new channels on COM8 in the future.